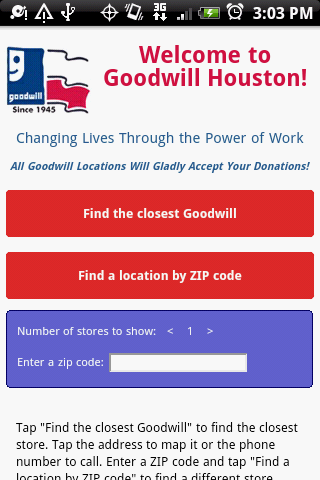 Find a Goodwill store or donation center in the greater Houston area. Search using phone GPS or cell coordinates, or by putting in a ZIP code. Map store locations or call instantly. Updates locations automatically.